These pint-sized Christmas bites deliver the perfect balance of rich, spiced flavour and pastry perfection. Best made a day or so ahead. Makes 12 pies. 1Heat the oven to 200°C. 2Mix together all the filling ingredients. Cover and leave to soak, ideally overnight. 3Beat the Nuttelex with the sugar until fluffy. Mix in the flour until you have a smooth pastry. Wrap in cling film and chill for approx. 1 hour. 5Take small balls of pastry and press into the tin, cutting off any excess pastry. 6Divide the filling between the cases. 7Knead the leftover pastry again and roll out to a thickness of approx. 3 mm. Cut out stars and place these on top of the filling. Or create a pastry lid with a mini star cut out. 8Bake the pies in the oven for approx. 25 minutes until golden.Take out of the oven and leave to cool in the tray. 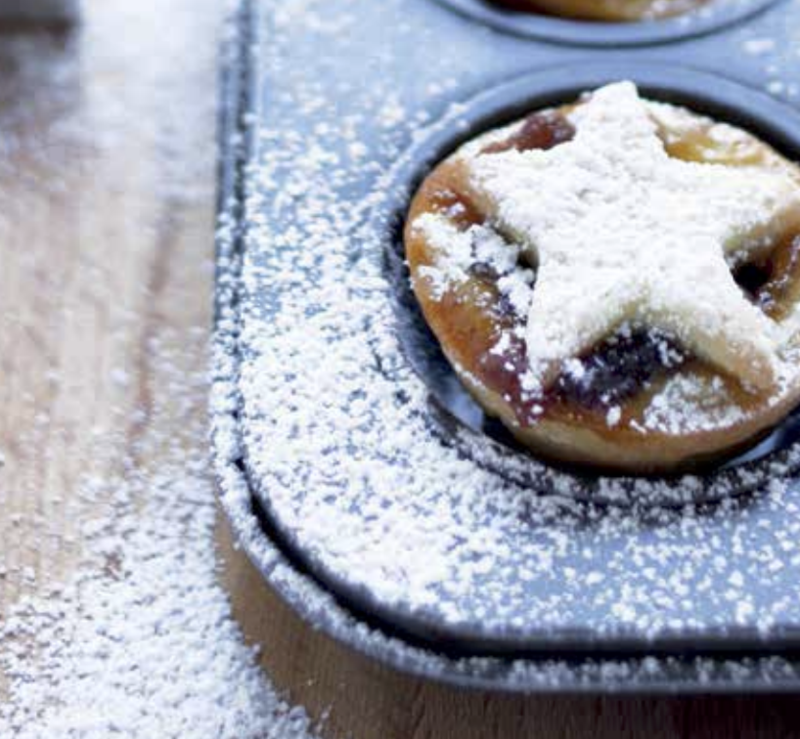 Serve dusted with icing sugar or caster sugar.